Dim Sum refers to a style of Chinese food prepared as small bite-sized or individual portions of food traditionally served in small steamer baskets or on small plates. Dim sum is also well known for the unique way it is served in some restaurants, whereby fully cooked and ready-to-serve dim sum dishes are carted around the restaurant for customers to choose their orders while seated at their tables. But in Bangkok, Thailand, finding "Good" Dim Sum is almost next to impossible. 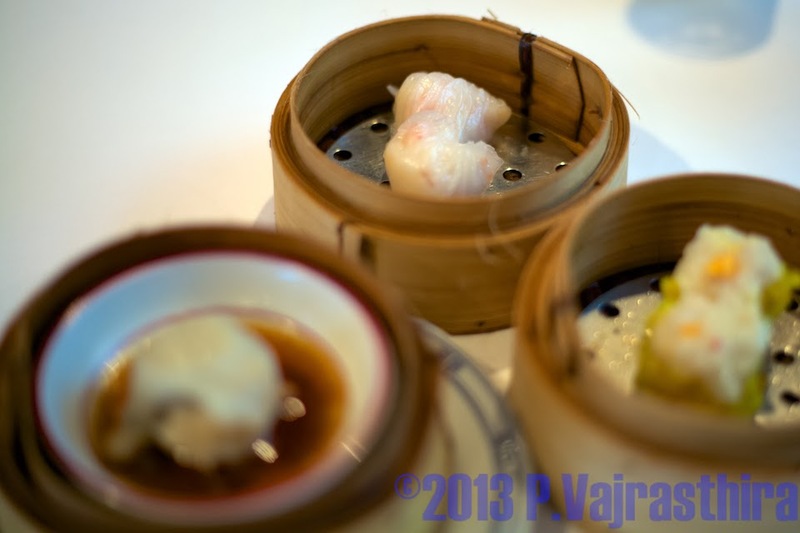 In some of Luxurious 5 stars hotel do carried Good Dim Sum, but not on Bangkok local street. That's all for now. I will try to update list of good Dim Sum restaurant in Bangkok for your information later.